Blount International acquires Merit Engineering and Equipment Company Portland, Ore. – October 8, 2018 - Blount International, Inc. (“Blount”) announced today it has acquired Merit Engineering and Equipment Company (“Merit”). 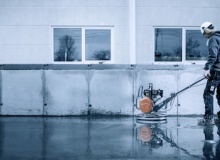 The Merit brand of concrete cutting products and their manufacturing facility will be integrated into Blount’s Concrete Cutting and Finishing (“CCF”) business unit. 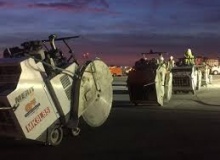 CCF manages the ICS® brand of concrete cutting equipment and is the exclusive distributor of Pentruder® wall saws and wire saws in the Americas. 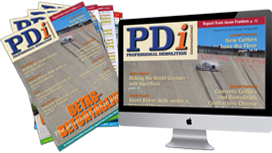 In this annual feature about industrial dust extractors and air cleaners, PDi takes a look at the latest products that can comply with new and stricter asbestos and silica regulations. Jan Hermansson reports. 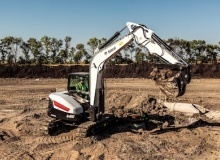 Buyers always have a personal checklist when acquiring a mini or compact excavator. There are the usual items like power, versatility, comfort, ruggedness, and ease of maintenance. There are also intangibles, such as past experience with a particular manufacturer, recommendations from colleagues, and perhaps even the colour. 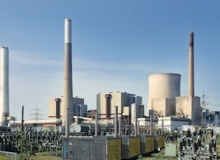 PDi’s Jim Parsons reports. Building a high performing wall or wire sawing system is a challenging engineering task requiring a lot of skill and experience. Until a few years ago, only a handful of manufacturers in the entire world were capable of effectively accomplishing this. 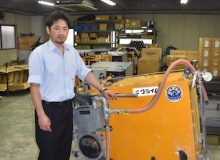 Now the situation is changing, with more and more companies mastering the complex manufacturing technology. PDi’s Andrei Bushmarin reports. 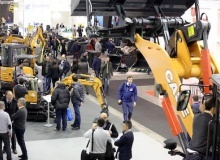 Sales of earthmoving machinery in Italy grew by 16% in 2017, with recovery in the construction sector driven over the next three years by the replacement of vehicle fleets and new investment. These factors are set to make the next Samoter in March 2020 a highly exciting show. 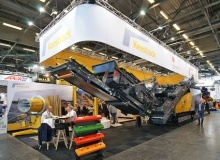 Intermat was held from the 23rd – 28th April in Paris. 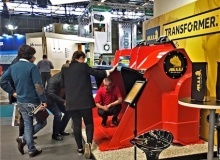 As one of the world’s leading construction equipment exhibitions, ALLU used the show to exhibit leading members of its Transformer and Processor ranges, outline the new features of the equipment, and launch its latest development aimed at further enhancing customer business operations. 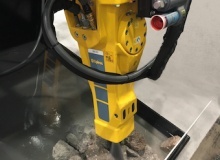 Epiroc's premium SB hydraulic breakers series are the industry’s only breakers equipped as standard with an integrated channel for water spraying. 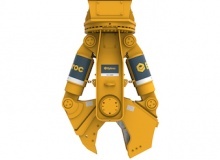 A feature designed to help improve the working environment on construction and demolition sites around the world. 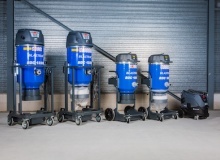 Following its recent agreement with Atlas Copco, Husqvarna Construction Products has launched a new product range for light compaction and concrete placement. This is aimed at ensuring Husqvarna is able to supply a more complete offering to its channel partners and end users. 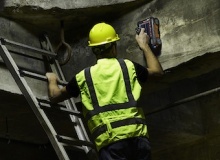 GSSI, the manufacturer of ground penetrating radar (GPR) equipment, has announced the launch of its new StructureScan Mini LT.
“We are hugely satisfied with Intermat 2018,” commented Gary Bell and Leon Goosen, the outgoing and incoming group chief executive officers of the global ADT specialist, Bell Equipment. HTC has added the entirely new Duratiq 5 to its award winning line of grinders. 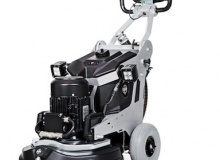 The Duratiq 5 has a grinding width of 515mm (20.3 inches) and is available in two models: one with a 2.2 kW (3HP) motor and the other a 4.0kW (5.4 HP). Both models have an entirely new design with the focus on ease of handling and power. The Keestrack stand at Intermat 2018 featured an award winning world premiere, as well as information concerning new models and the new structure of its French dealer and service network. 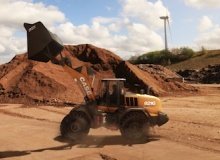 Case Construction Equipment unveiled at Intermat 2018 its new wheel loaders developed for waste and compost recycling applications: the new 821G and 921G waste handlers. 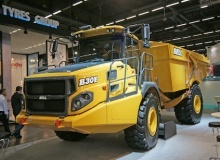 Komatsu Europe launched a number of new products at Intermat this spring. 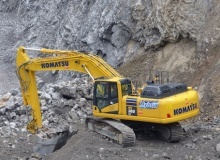 More than 30 Komatsu machines were displayed on an indoor 3,200 m² stand in Hall 5B, with Komatsu’s technologies also being demonstrated live on a 2,000 m² outdoor area. 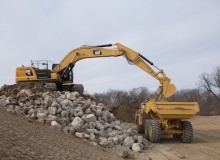 The new 36t excavators from Caterpillar, the 336 and 336 GC ‘Next Generation series’, have been developed to increase operating efficiency, lower fuel and maintenance costs, and improve operator comfort compared to previous models. 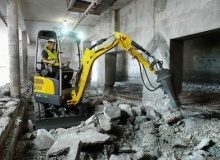 Wacker Neuson unveiled its first fully electric, battery powered mini excavator at this year’s Intermat. The EZ17e performs and handles like a diesel powered model, but adds to Wacker Neuson’s range of zero emissions solutions. 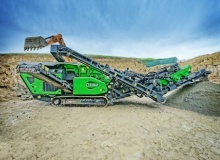 EvoQuip has launched three new products at Hillhead. The machines are the Cobra 230R impact crusher, Cobra 290R impact crusher and Colt 1000 scalping screen. Designed for carriers in the 20t to 30t and 25t to 40t range respectively, the CC 2300 and CC 3100 combi cutters provide a productive combination of short cycle times, easy handling and simple maintenance. 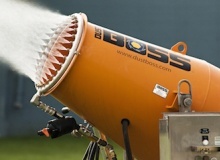 BossTek has extended the company’s product warranty to 5years or 5000h on the direct drive fan motor of its entire product line up. The QAC 1450 TwinPower is a containerised unit housing two compact 725kVA generators powered by V8 Scania engines with double bearing alternators.